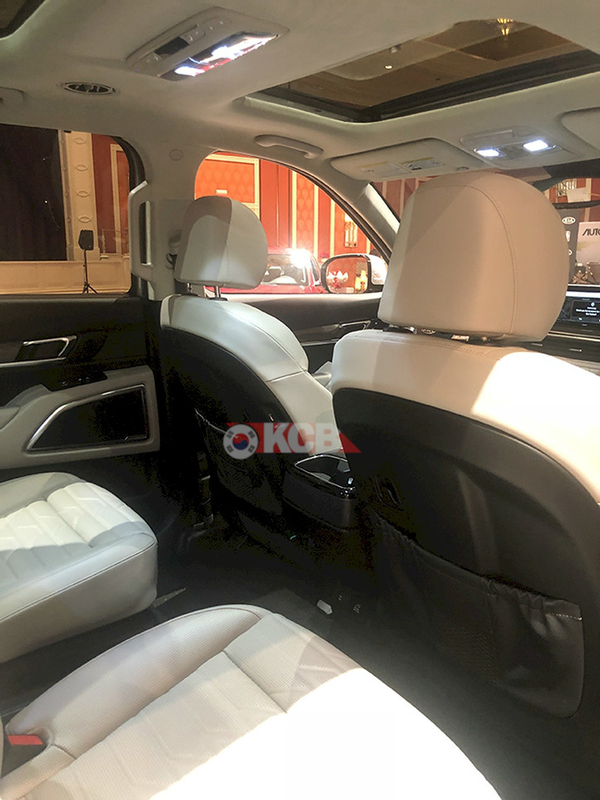 It’s been a while since we saw the last pictures of the Kia Telluride and today we came back with this new photoset of Kia’s big SUV on its US-spec showcased during KMA Dealer Show in Ohio. 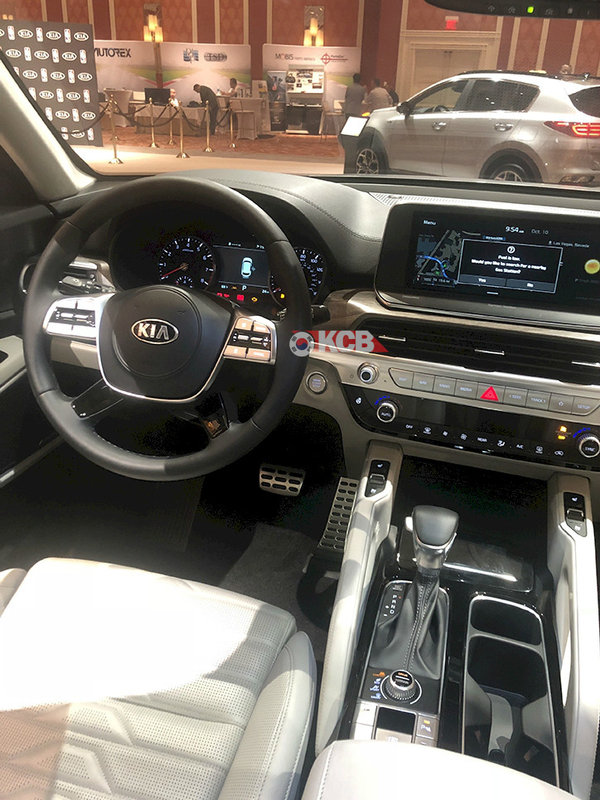 Kia Motors America revealed a month ago a customized Telluride for New York’s Fashion Week who showed some aftermarket parts on the exterior and a detailed interior and now we got exclusive pictures directly from KMA’s Dealer Show event (you can also see on the pics the Sportage facelift). 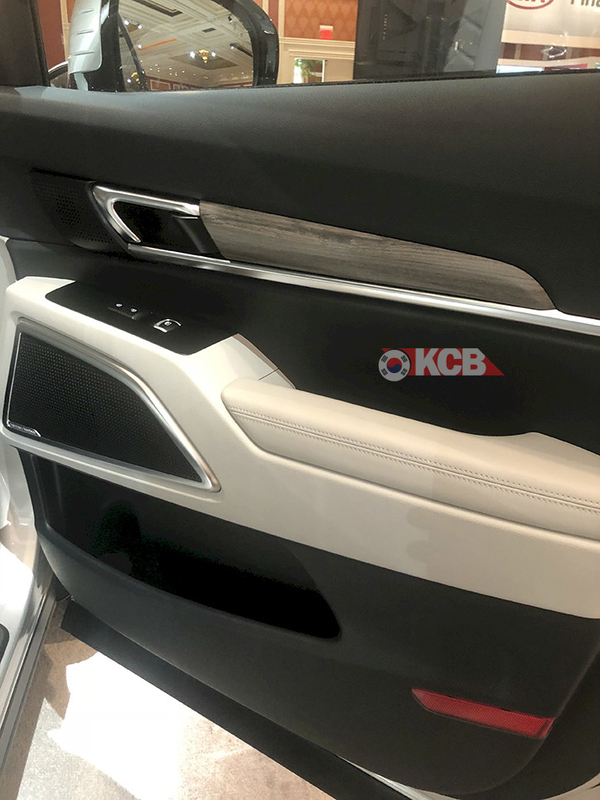 We can find a wide touchscreen infotaiment system probably the same size as the K900 infotaiment system (a 12,3 inch) and down below you can see the A/C air vents. At the bottom of Telluride’s interior you can find the radio buttons and at the end the A/C and heater controls. 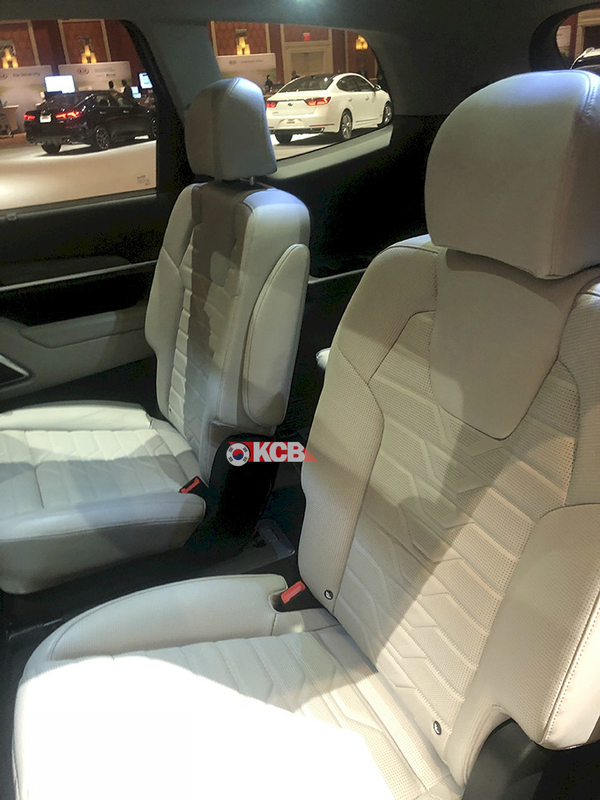 The interior has been wrapped up with a brown leather but we believe this is not standard and its part of customization done for a particular event. This finish is also found at the steering wheel. 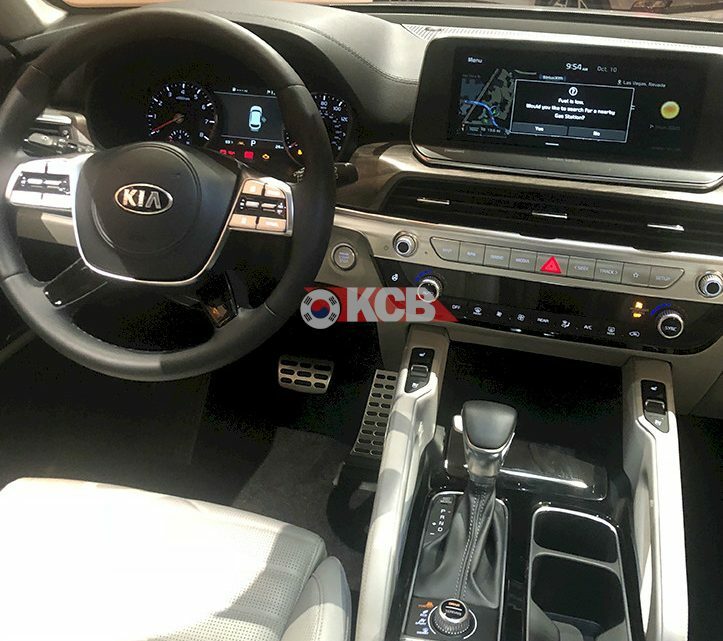 Looking at the spy pictures the production version of the Telluride has al leather stripe along the dashboard, like the one used in the Sorento. 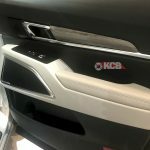 We also find some dark wood details down below the infotaiment system that goes across to the passenger side which is also similar to the K900, in the spy model has metal inserts instead of wood, but we are pretty sure that Kia will offer different themes for the interior, probably one more clear, with beige or brown seats and using wood, and other which will be more sober ambient, like the one on the pics, with black leather and aluminium inserts finish. 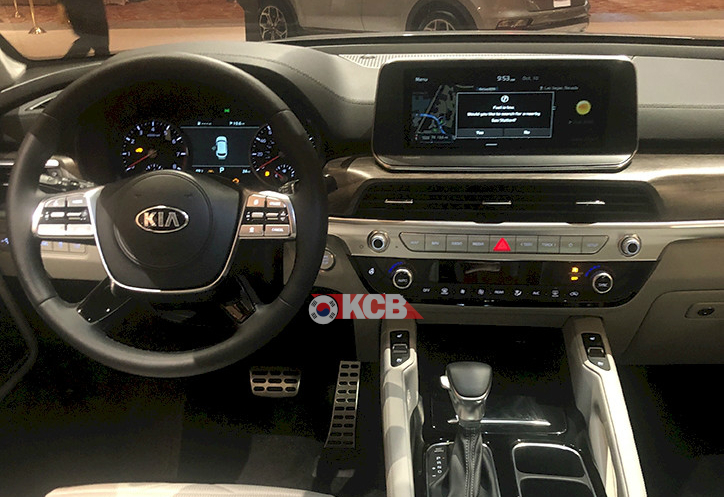 It shares the steering wheel with the 2019 Kia Sorento, while will have a 7″ colour screen in the tachometer. 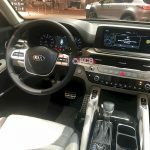 The center console is higher and wider if you compare with Sorento’s, and the gear know is similar to what we have seen on the latest batch of Kia cars, like the Forte or the Ceed and behind the laptop and using the customized Telluride picture to compare, will be a Driver Mode’s Selection controls. 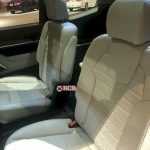 What do you think about Telluride’s Interior for the production version?